Malaria infection during pregnancy remains a major public health issue in tropical and subtropical regions, with an estimated 125 million pregnancies occurring in areas of malaria transmission yearly. Of the five human malaria species, Plasmodium falciparum and Plasmodium vivax cause the most severe effects in pregnant women, which are the main adult risk group. Pregnant women are more susceptible to the infection due to a combination of immunological and hormonal changes associated with pregnancy, and the ability of P. falciparum-infected erythrocytes to sequester in the placenta. Moreover, they are more attractive to malaria-transmitting mosquitoes due to increased heat and release of volatile substances from their skin surfaces. The infection can result in a variety of adverse pregnancy outcomes, including spontaneous abortion, neonatal death, preterm delivery, and low birth weight, in addition to maternal death from severe malaria or indirectly due to severe anemia. The diagnosis of malaria in pregnancy is often complicated by the very low number or even absence of parasites in the peripheral blood due to placental sequestration. In high transmission areas, the infection is often asymptomatic despite its adverse effects, which complicates the diagnosis even further. Current diagnostic tools for malaria diagnosis in pregnancy present several limitations, which, combined with an inadequate access to antenatal care in many resource-limited settings, result in missed diagnosis, delayed treatment, and serious health implications for both the mother and the child. Reliable diagnostic tools are necessary for early confirmation of the infection, especially with the current efforts to decrease transmission and increase interventions, as pregnant women are an important reservoir of parasites in the community. While microscopic examination of peripheral blood slides is the gold standard for diagnosis in non-pregnancy malaria, accurate detection of parasite infection in the placenta requires examination of placental tissue, which is only possible after delivery. 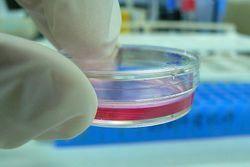 Although some of the currently used techniques, including microscopy, rapid diagnostic tests (RDTs), and PCR, can be performed in peripheral blood during gestation, they present limited ability to detect parasites sequestered in the placenta. Histological examination of a stained biopsy from the maternal side of the placenta collected at delivery is considered the gold standard for the diagnosis of placental malaria. Although placental histology is more sensitive than peripheral and placental blood film examination, it can be performed only after delivery, when it is too late to prevent adverse effects on the mother and fetus. Other limitations are its applicability only in hospital settings and not at the point of care, the requirement of skilled personnel, the cost of sample processing, and the lack of standardization among laboratories. Giemsa-stained placental or peripheral blood slides can be examined with light microscopy, though its accuracy is relatively low compared to placental histology. Placental blood examination also yields higher diagnostic sensitivity than peripheral blood microscopy but can only be performed after delivery. 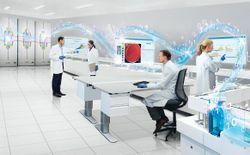 Light microscopy is easy to perform and relatively cost-effective (<0.40 USD), but it is also time consuming and requires extensive training and quality control procedures. RDTs detect parasite antigens in the blood with specific monoclonal antibodies. They are fast and easy to use in low-resource settings. Currently, a wide variety of commercial RDTs are available in various formats, and they have shown mixed performances. Although the most commonly used RDTs are based on the detection of histidine rich protein 2, their applicability can be limited by antigen persistence leading to false positive results, antigenic variability, or presence of parasite isolates not expressing the antigen. Other drawbacks are that RDTs are not quantitative, require specific storage conditions, and can be expensive in some countries. Recent studies have shown that RDTs perform better than peripheral blood microscopy for malaria diagnosis in pregnant women, particularly among symptomatic mothers. PCR can detect a lower number of parasites than other techniques. Submicroscopic infections detected by PCR but not by microscopy are associated with the adverse effects of malaria in pregnancy. 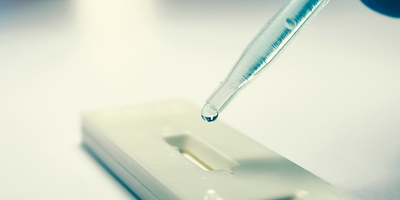 However, the applicability of PCR diagnosis in the field is limited by the need for highly trained staff and specialized equipment, elevated costs, risk of contamination leading to false positive results, and the need for good quality control. Increasing efforts are being directed toward the development of portable, robust, and cost-effective instrumentation for field diagnosis. LAMP is a molecular technique that amplifies specific double-stranded DNA sequences under isothermal conditions in a one-step reaction in less than one hour. LAMP is less sensitive than PCR but more sensitive than microscopy or RDTs. 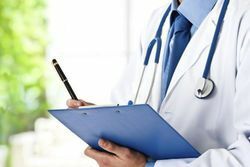 It is one of the most promising diagnostic techniques due to its simplicity, reliability, robustness to interference, and reduction of time and costs. 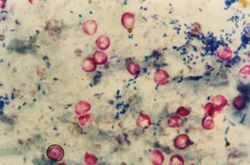 MS can diagnose malaria through the detection of hemozoin pigment. It has shown moderate sensitivity and high specificity for malaria diagnosis in asymptomatic pregnant women compared to PCR. Although sample preparation is simple, this technique is still limited by the cost of the instrumentation. Novel cost-effective strategies, such as MS for a paper-based immunoassay, are under development. As a key component of antenatal care to monitor fetal growth and assess fetal risk, ultrasound could help to identify high-risk women, even in cases of asymptomatic or low parasitemic infections. The substantial training and costly equipment required limit the applicability of ultrasound in malaria-endemic regions, but this issue can be solved with new portable and cheaper ultrasound systems. Several parasite biomarkers are measured by RDT, PCR, or LAMP. Among the host-derived molecules, inflammatory markers (TNF-R2, CXCL-13, s-endoglin, sFIt1), markers of lipid metabolism (APO-B), angiogenesis (sFlt-1) and hormones (estradiol) are potential biomarker candidates, though they often lack specificity. A combination of multiple biomarkers involved in different pathophysiological pathways of placental malaria could improve early detection. Current diagnostic techniques for malaria in pregnancy present several limitations, including low sensitivity and limited applicability in low-resource settings. More accurate tools for early diagnosis are urgently needed to avoid the negative clinical impact of this hidden infection, and to help curb malaria transmission. Laura Moro, PhD, is a biotechnologist. She holds a PhD in medicine from the University of Barcelona and has conducted research for several years in infectious diseases diagnosis. During her PhD, she studied the immunopathology and diagnosis of malaria in pregnancy and its interaction with HIV. She was then awarded a Marie Curie postdoctoral fellowship to work in the development of novel diagnostic bioassays. She is the co-founder of AI Scope, a non-profit organization aiming to improve the diagnosis of infectious diseases in resource-limited settings using artificial intelligence.